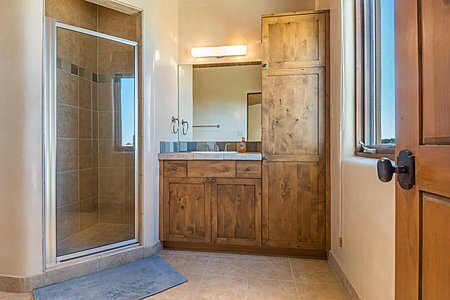 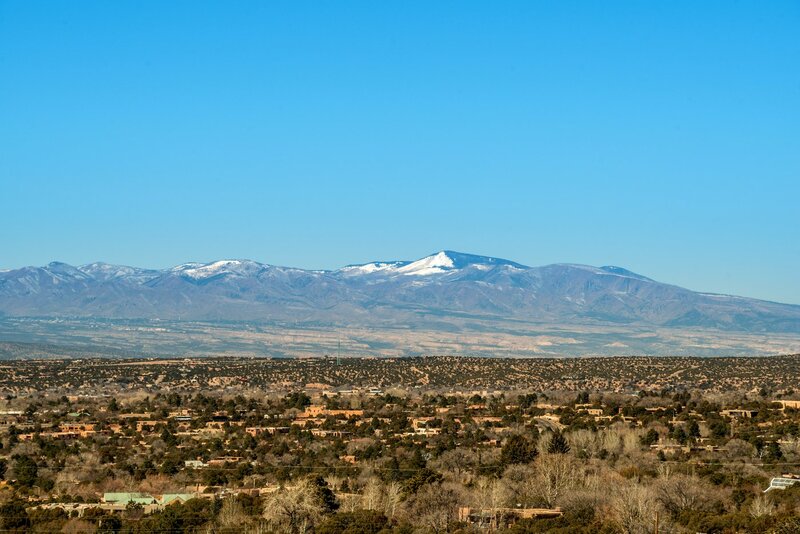 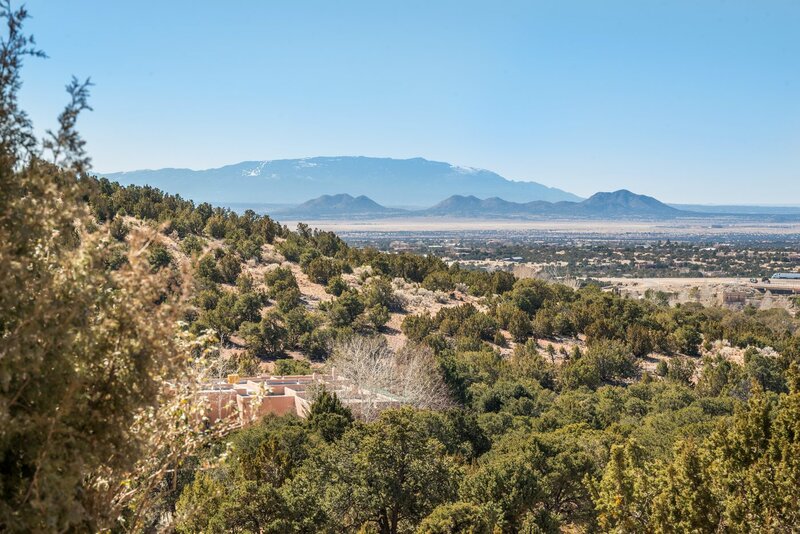 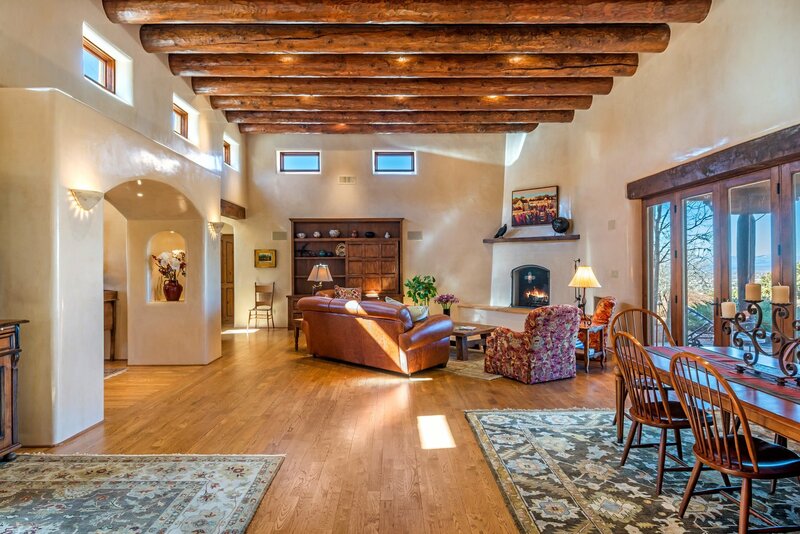 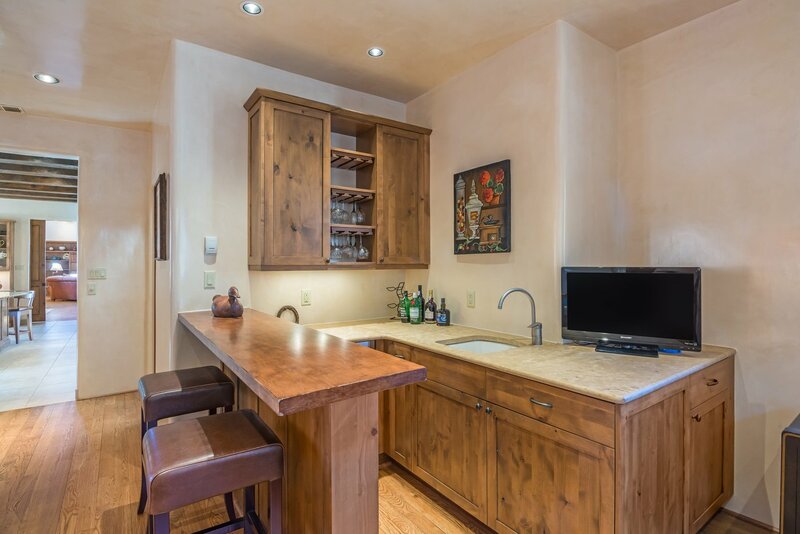 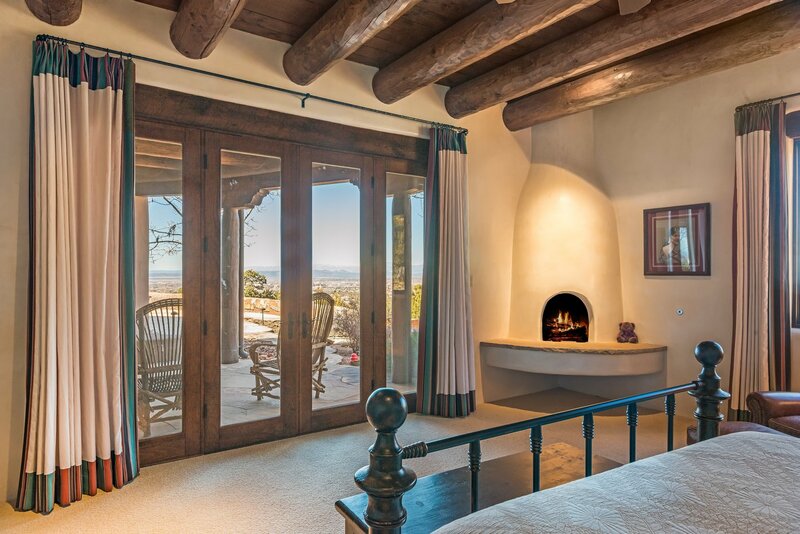 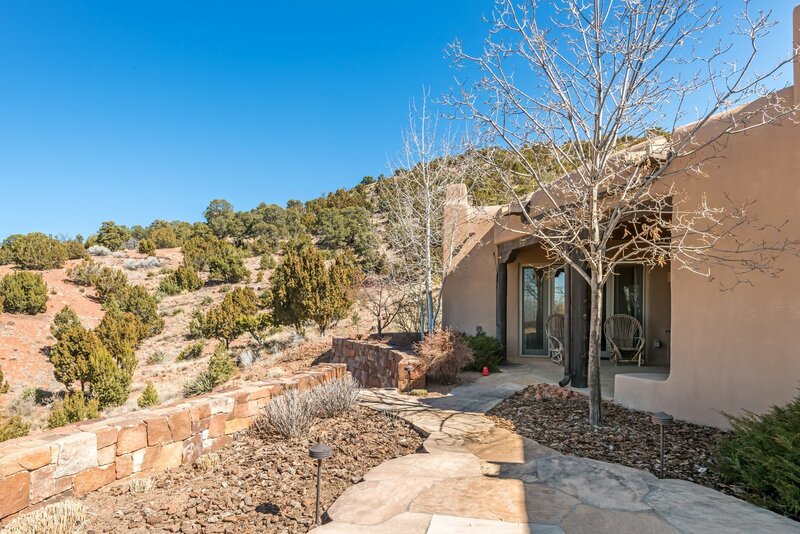 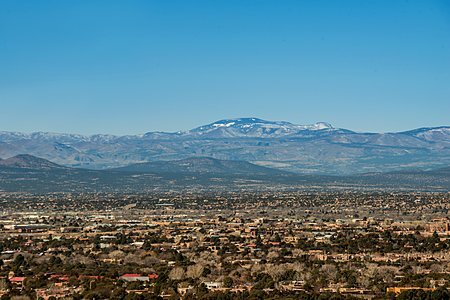 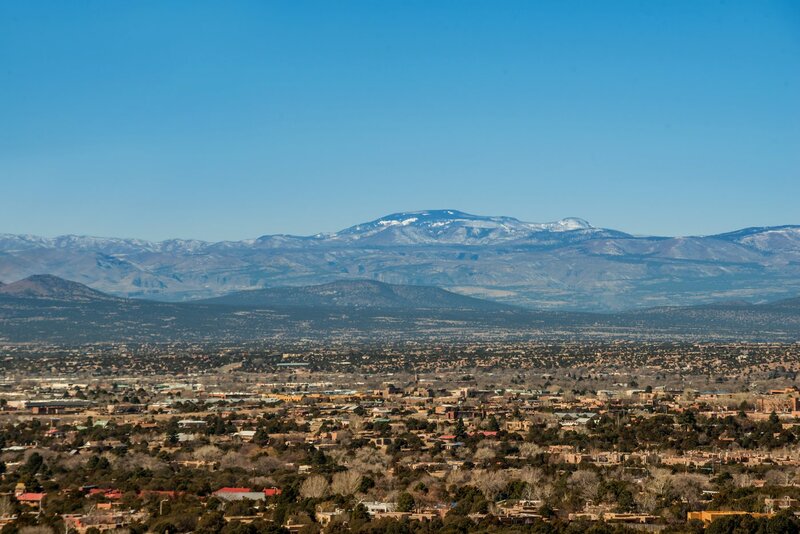 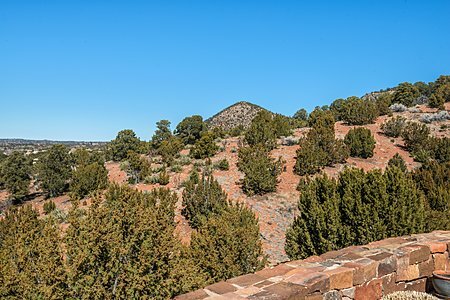 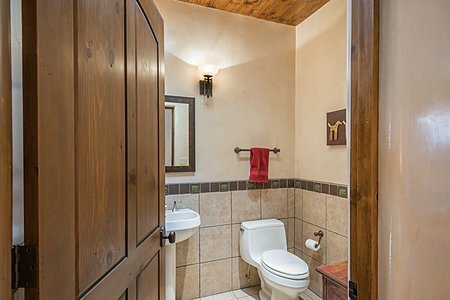 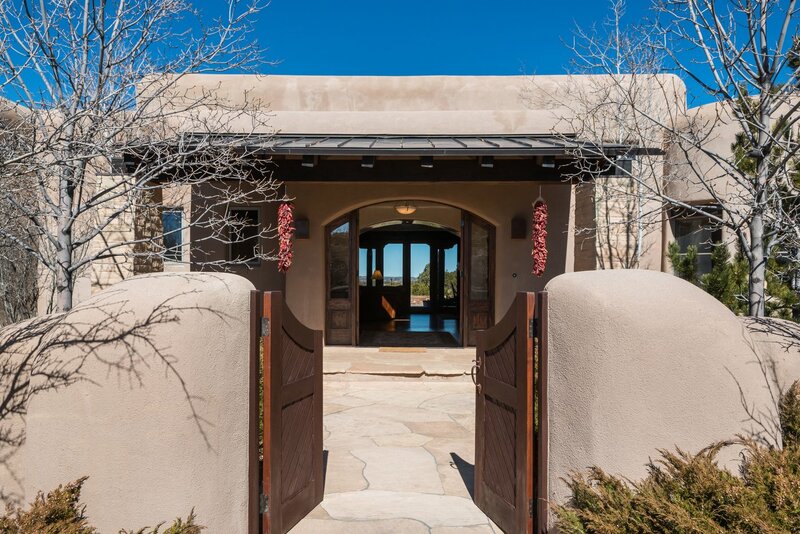 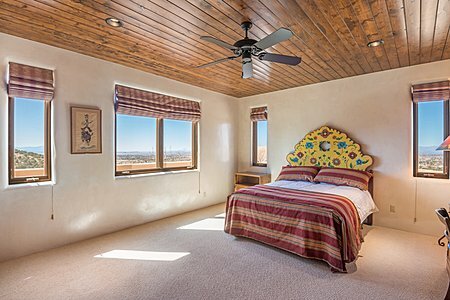 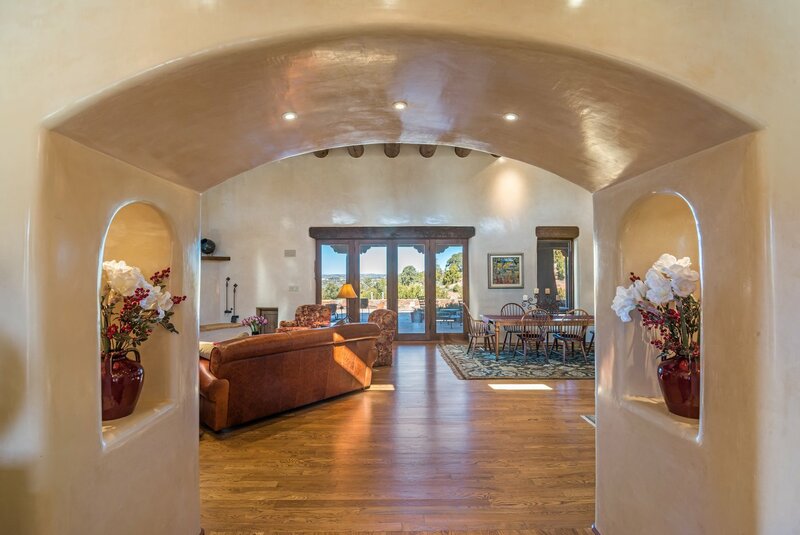 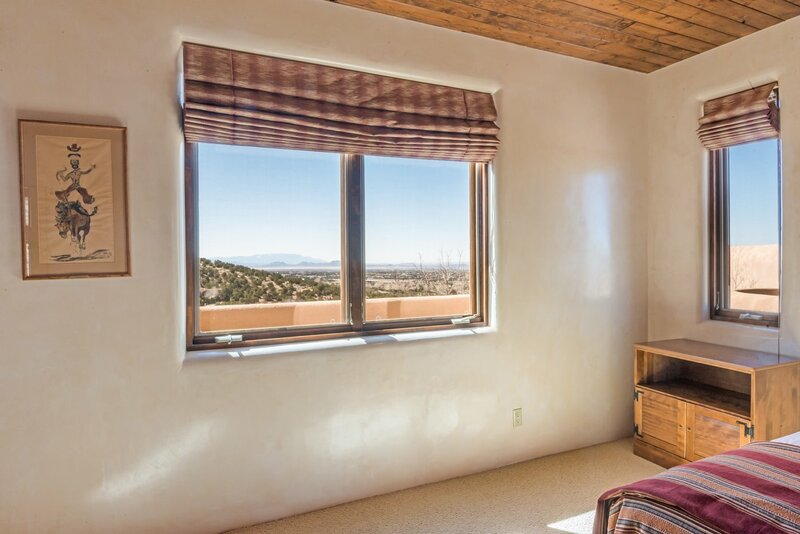 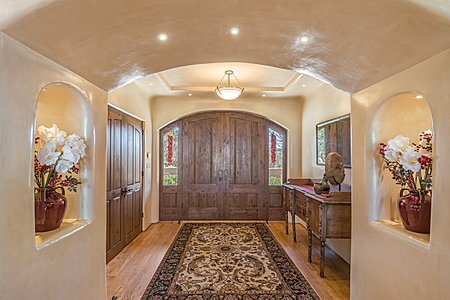 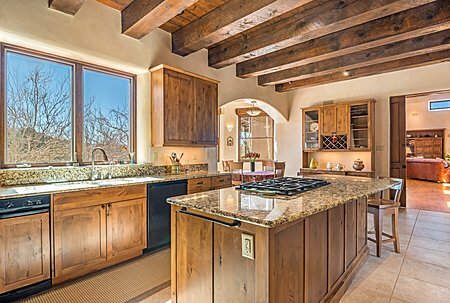 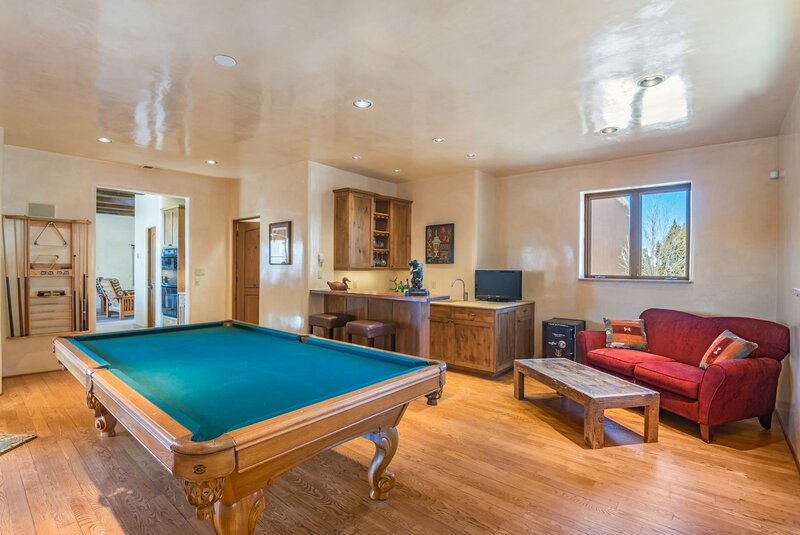 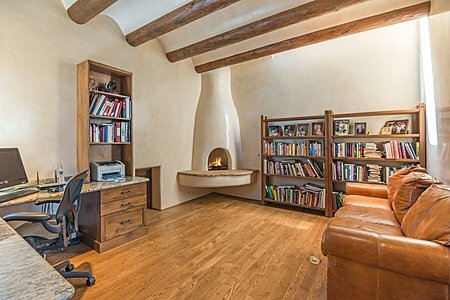 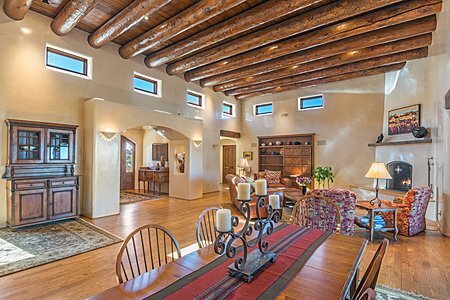 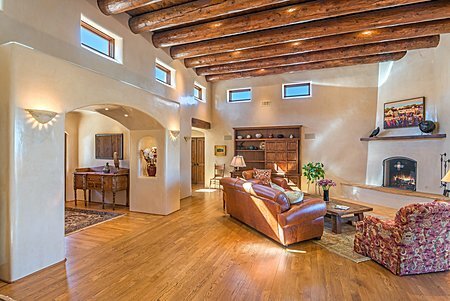 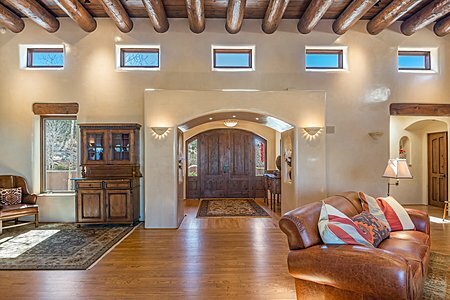 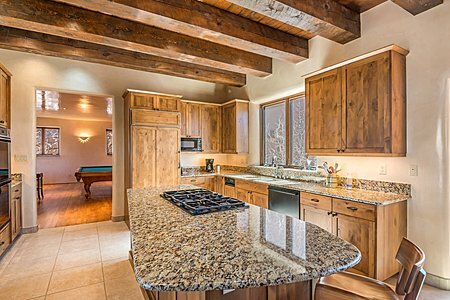 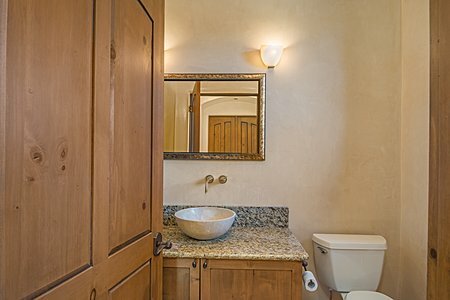 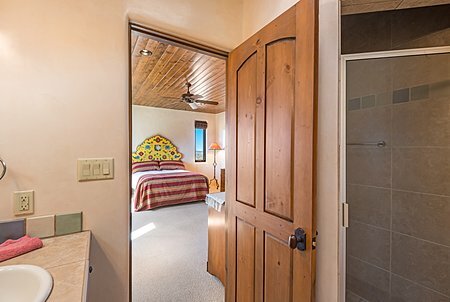 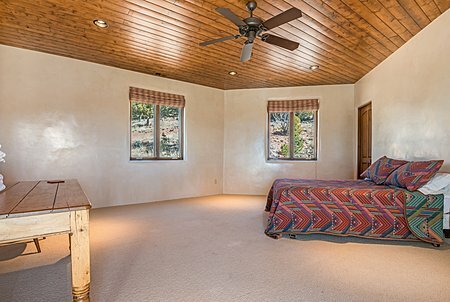 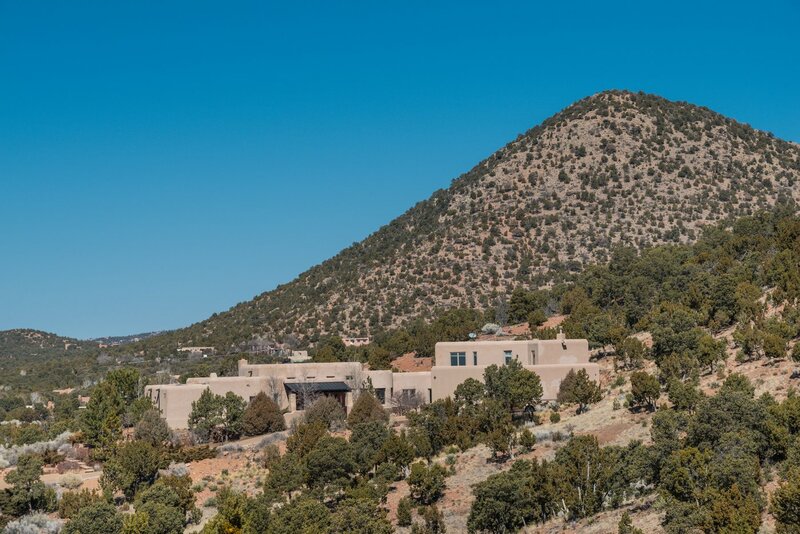 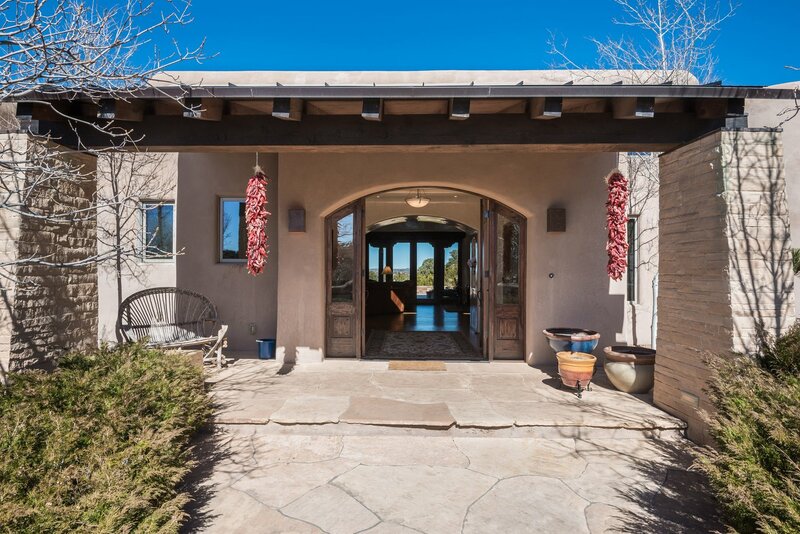 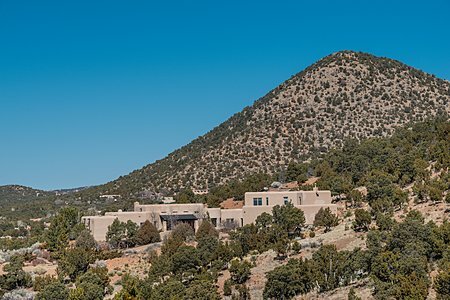 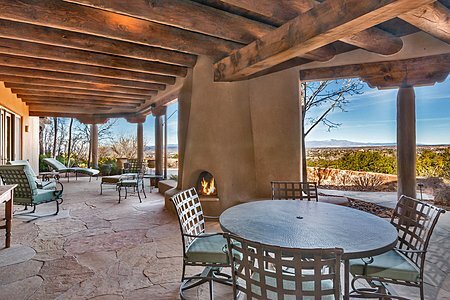 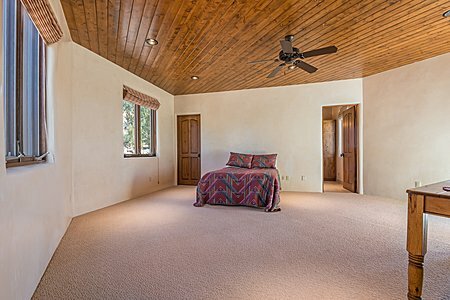 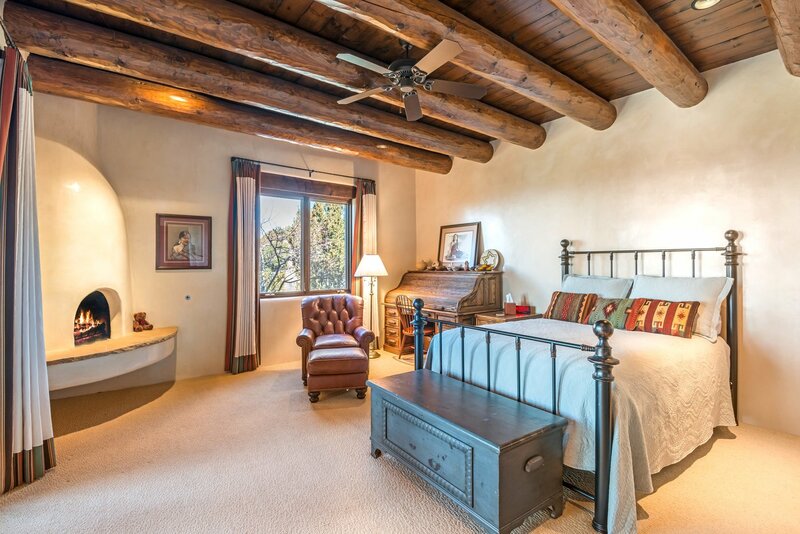 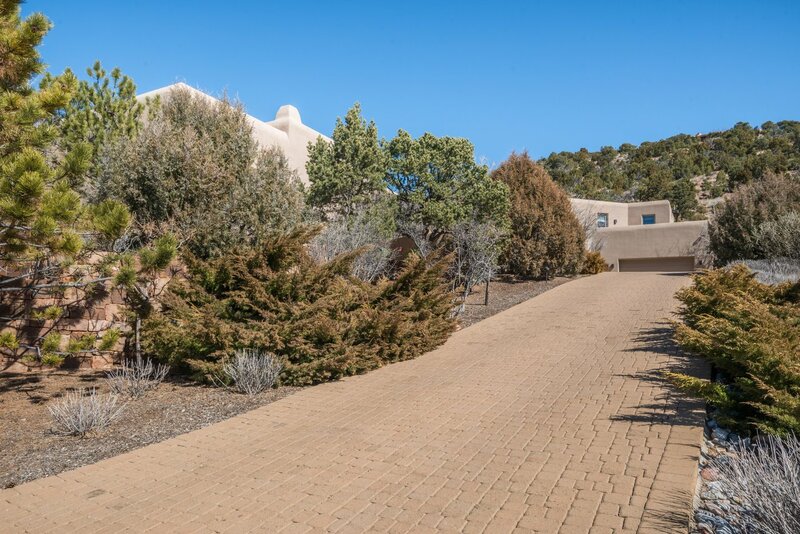 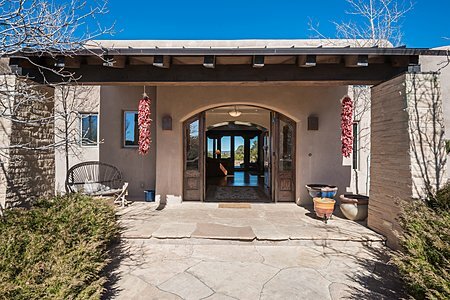 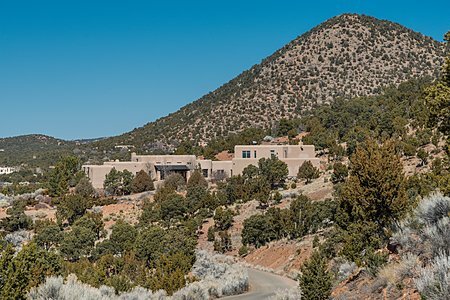 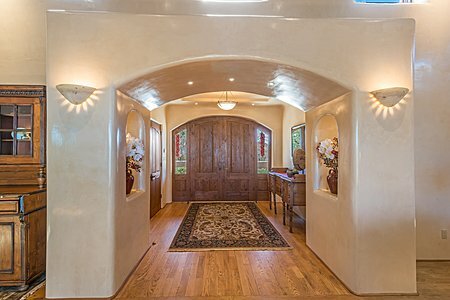 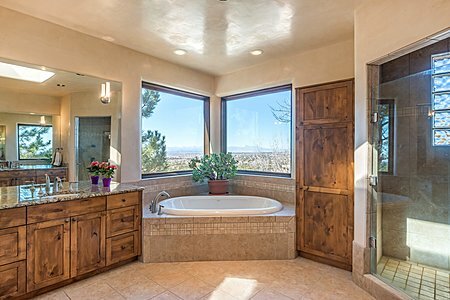 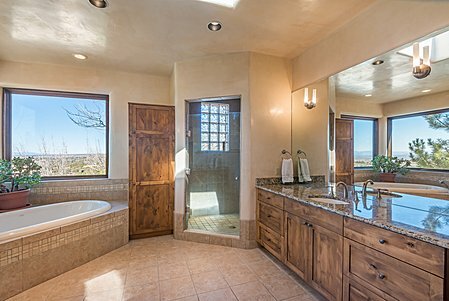 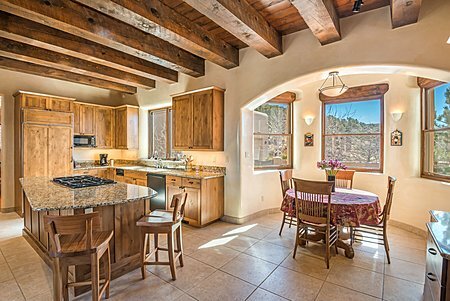 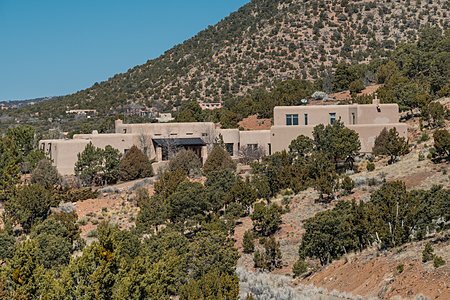 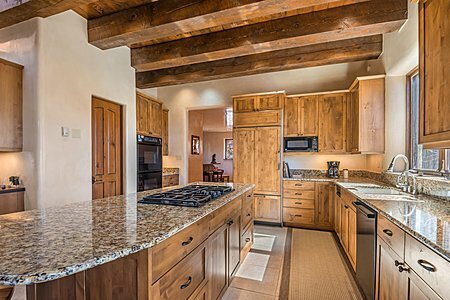 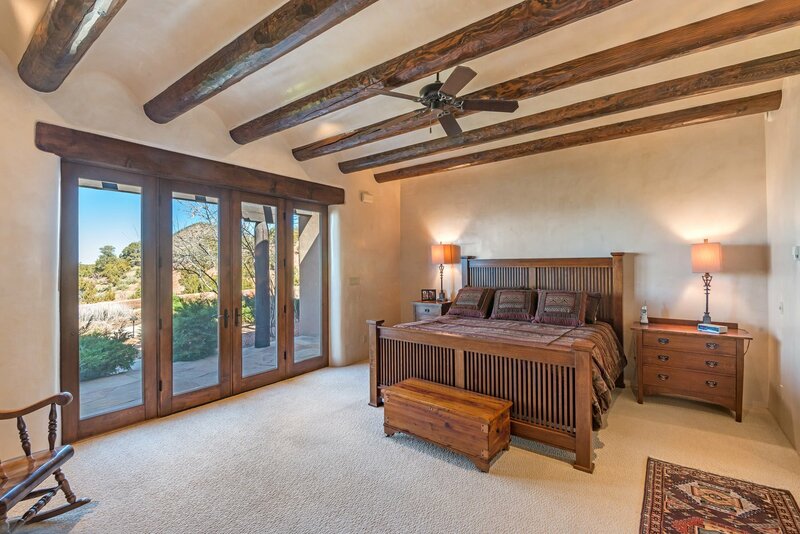 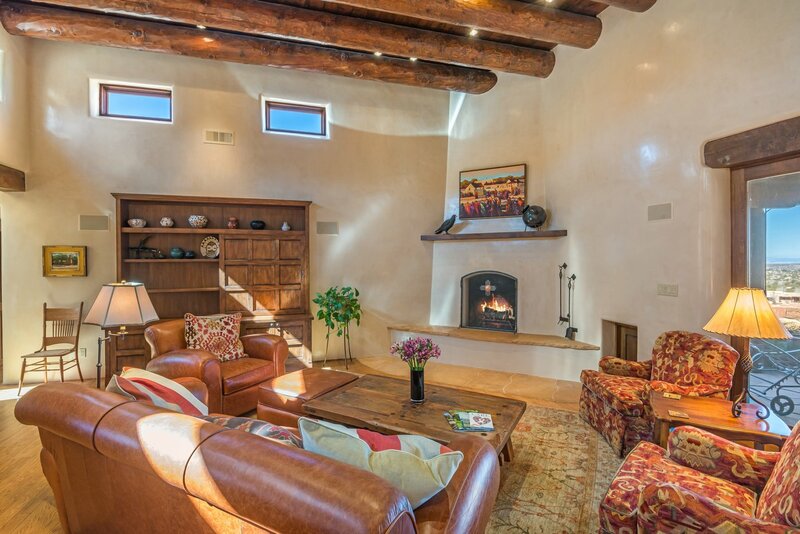 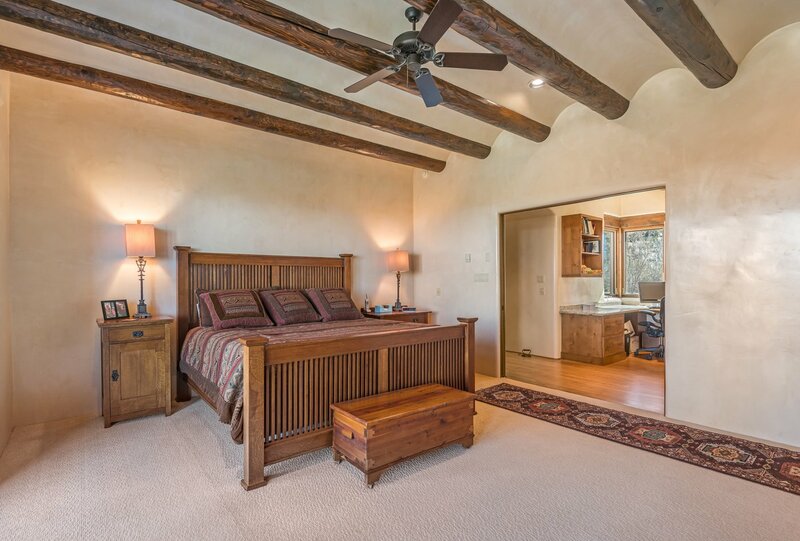 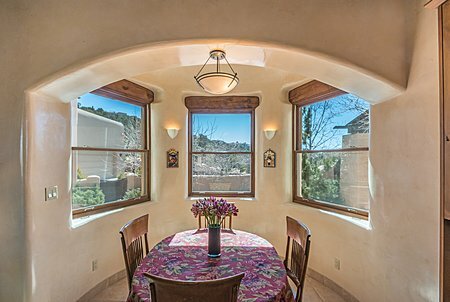 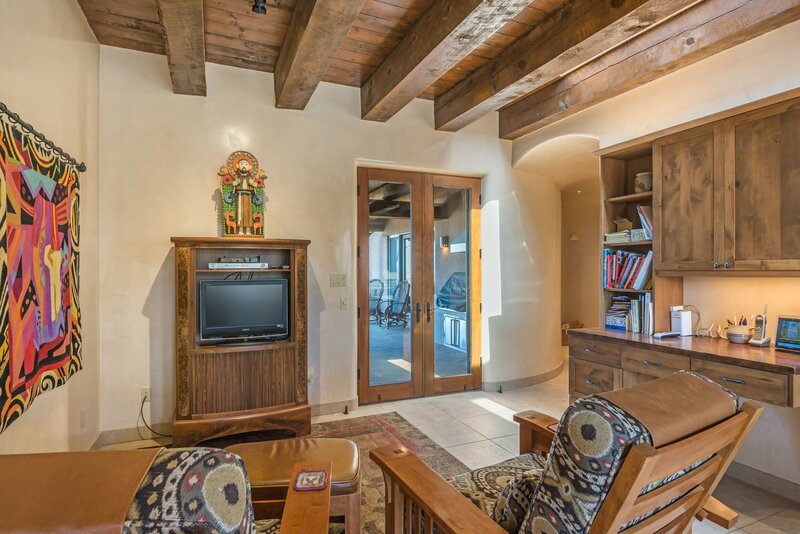 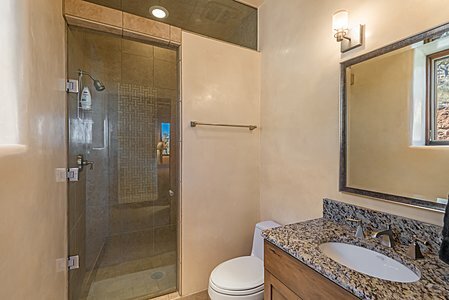 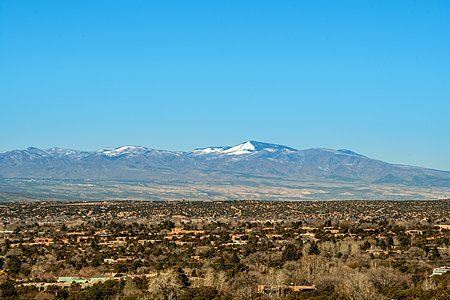 On a private perch in the foothills southeast of downtown Santa Fe, this welcoming residence enjoys far-reaching views across the city toward mountains and sunsets in the distance. 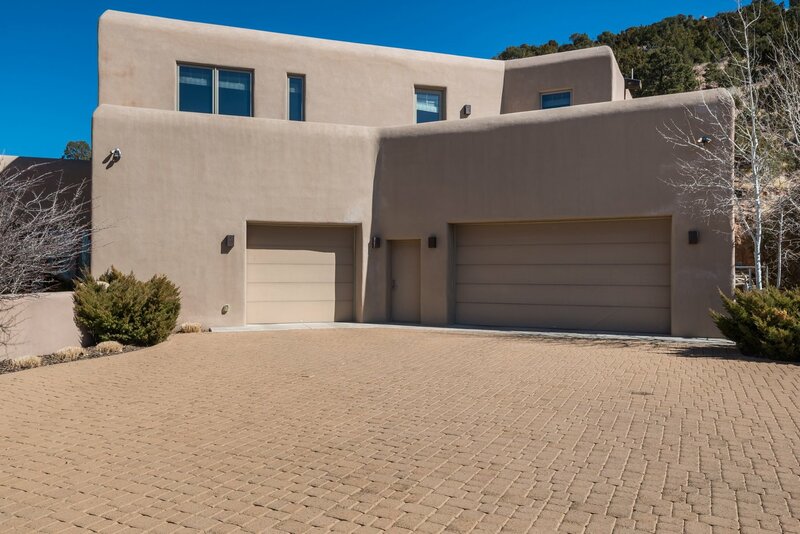 A winding paver drive winds upward toward the home, offering a separate parking area and leading to the generous three-car garage. Relaxed day-to-day living and grand indoor-outdoor entertaining are equally easy here, in a grand living and dining room with a fireplace and a soaring ceiling; a warm and inviting kitchen with an island, a breakfast nook; and a family room; a recreation room with a built-in bar and powder room; and an expansive portal with a built-in grill, a kiva fireplace, and one of the most envied views in the area, out across rugged New Mexico terrain and the city below toward the Jemez. A master suite that includes an office, a spacious spa-like bath, and a private arbored portal with mountain and sunset views is secluded in its own wing, while three guest suites are privately located on the upper and lower levels in the kitchen wing--one enjoying access to a roof deck perfect for appreciating mountain views or stargazing at night. A mudroom, built-in speakers, and plentiful storage complete the desirable picture.